This U-Konserve Ice Pack has a non-toxic gel pack comes inside a cover made from recycled plastic bottles! 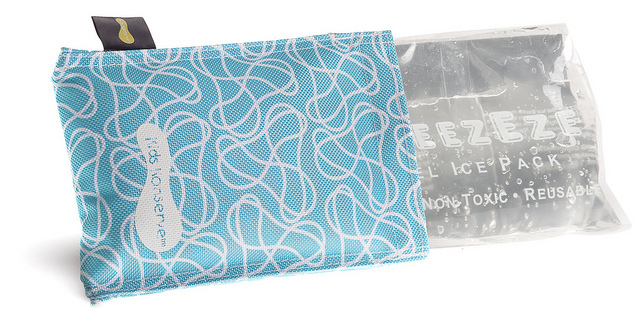 This reusable ice pack is ideal for kid's lunch boxes, keeping baby bottles cold, and handy for boo boos. The ice pack can be used with the insulated lunch sacks I have available here.